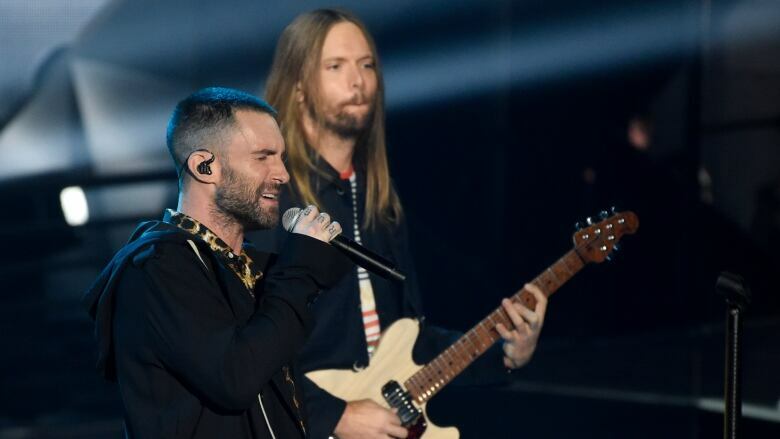 Maroon 5 has cancelled its news conference to discuss the band's Super Bowl halftime performance, choosing to not meet with reporters as most acts have done. Maroon 5, with frontman Adam Levine, will be joined by Outkast member Big Boi and Houston rapper Travis Scott at halftime of the game between the Los Angeles Rams and New England Patriots. The NFL says instead of a news conference with the performers, it will use media platforms to show behind-the-scenes footage and content. This has led to some criticism of performers participating in Super Bowl-related events in Atlanta. Jermaine Dupri said he was called a "sellout" for hosting an NFL-related event during a meeting with people who had lost family members as result of police brutality. After the meeting, Dupri and the victims' family members came to a compromise and the music mogul plans to give mothers a platform to speak onstage during his Super Bowl Live event in Atlanta.